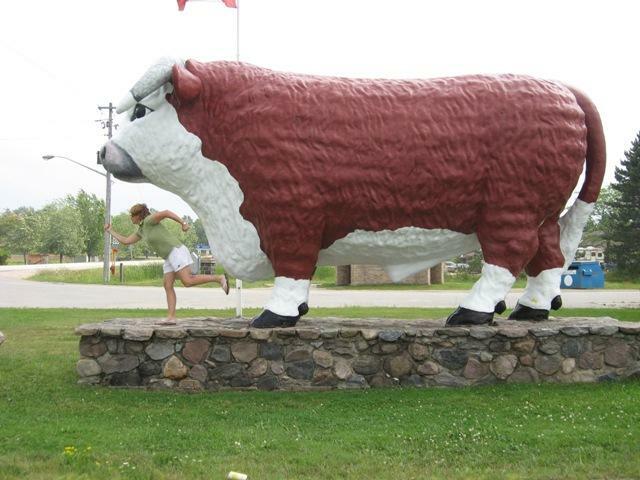 Constructed in 1976, a symbol of Ontario's best beef. Known to tourists as "Big Bruce". Thanks to Karolyn for phooning (and for the photo idea).